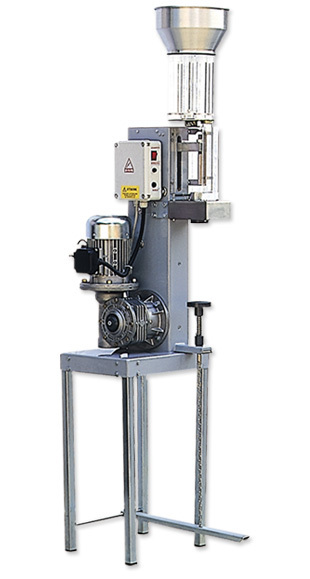 The corking machine is pre-set for corks with a maximum dimension of up to Ø 26 x 45 mm. Possibility of corking bottles of various forms and shapes up to a height of 350 mm. The corking complies with the latest accident prevention regulations. May be supplied also for bench only, and also without stoppard container. The corking machine is available with a nitrogen kit (which introduces a small amount of inert gas between the wine and the lower part of the cork).